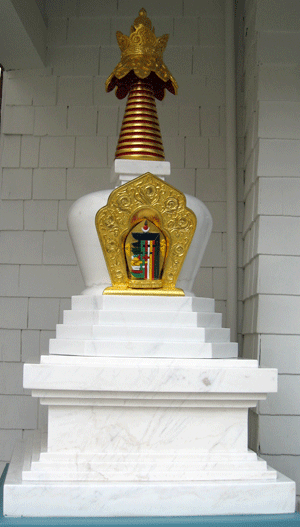 The tradition of converting swords into plowshares in 1997 became a proposal to convert a remnant of war into a stupa. In 2004, guided by Tai Situ and Thrangu Rinpoches, the carving of a white marble peace monument began. In 2013 the wish to find a setting where generations might visit led to choosing the Rocky Mountains in Crestone, Colorado for its home. Among the eight architectural designs evolved in Tibet they chose the one associated with the healing of human conflicts variously translated as Unifying the Community, Reconciliation or Harmony. 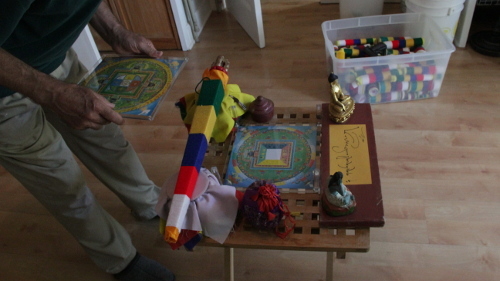 The Kalachakra symbol for the heart ornament supports the healing of the environment. This was carved in wood, then cast in bronze and blessed by the Dalai Lama who also gave many gifts to be placed inside. Casting a bronze crown, painting, gold leafing, and polishing completed the first aspect, the form. Essential in the Himalayan tradition is the complete filling of the pagoda with specially prepared prayers, offered by Thrangu Rinpoche. The inner architecture of offerings is organized and supported by two mandalas (including over two hundred small pagodas each also having prayers inside) and the life-force axis inscribed with prayers and wrapped in fabric which had draped the Buddha statue in Bodh Gaya. Gratitude for the teachers who have brought the path of awakening to America led to the gift of Zen Mind Beginner's Mind, signed by Roshi Shunryu Suzuki. 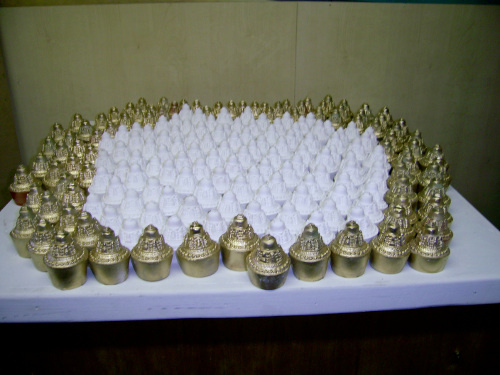 Further offerings include relics of Taranatha, Longchenpa, Abo, Khyentse Wangpo, Gyalwa Karmapa, Dudjom, Dilgo Khyentse, Jamgon Kongtrul, Kalu, Bokar, Trungpa, Tenga, Kangjur, Tulku Urgyen and Traleg Rinpoches. 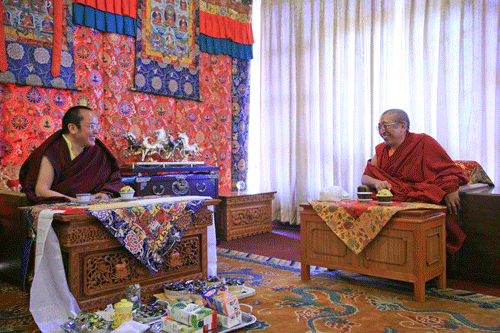 This second inner offering was completed with a relic of Buddha offered by Tai Situ Rinpoche. 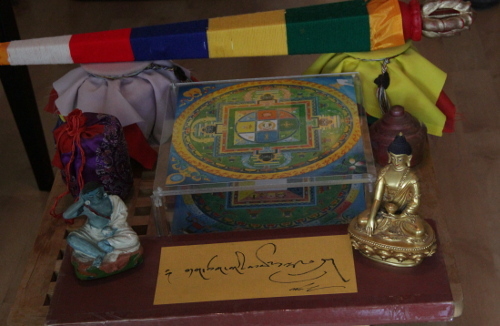 Consecrated gifts have been sent from around the world: Khyentse Chokyi Lodro's personal Milarepa statue from Dzongsar Khyentse, an Akshobhya Buddha statue from the Karmapa, a song of realization from Khenpo Tsultrim Gyamtso, treasure vases from Dodrup Chen and Namkai Norbu, gifts from Goshir Gyaltsap, Mingyur, Tsok Nyi, Kunga Saljay, Dzigar Kongtrul, and Sangye Nyenpa Rinpoches. Pilgrim's gifts of joy and sadness complete the third offering: from the shores (Maine, Hawaii, Canada, the Galapagos), the rivers (Ganges and Mississippi), the mountains (Wu Tai Shan and Kailash), Borobodur, India (Sarnath, Bodh Gaya and Kushinigar), Nepal (Lumbini, Swayambhu, Bodhnath and Namo Buddha), Sicily (a ring forged from a plane shot down in war sent home by a soldier to his bride) and Tibet (relics from stupas destroyed). 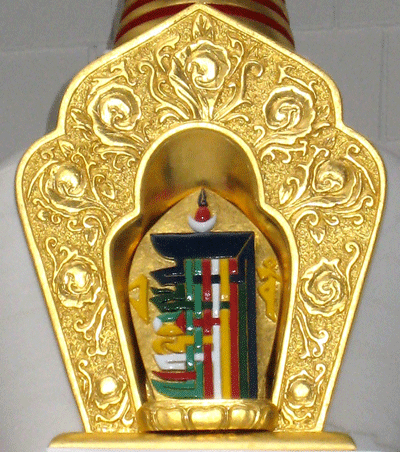 Just as the architectural details of the outer form of the pagoda serve as reminders of the harmony of the elements and the qualities of the mind of awakening so also the contents are understood as symbols. 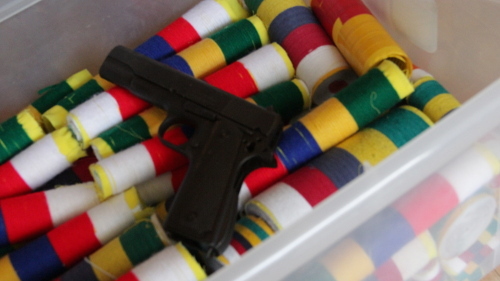 The offerings include musical instruments, jewels, and other delights as well as a weapon: gestures of all obstacles to peace overcome, of all things brought to the path. 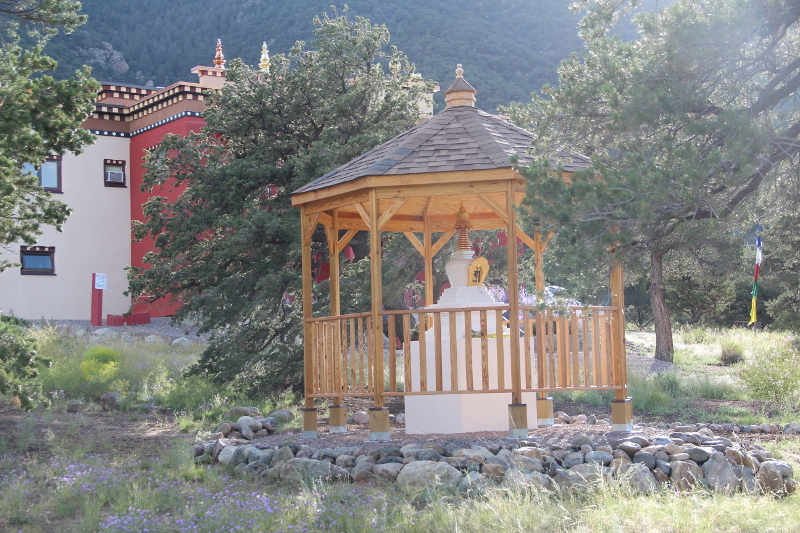 Khenchen Thrangu Rinpoche consecrated the stupa on August 22, 2014.